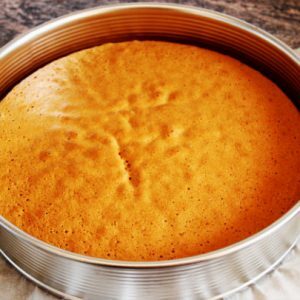 A delicious and rich dessert for any occasion. Sweet potatoes are rich in Vitamin C, iron, dietary fiber, calcium and potassium. 1. Boil milk till it thickens and reduces by 1/3rd. 2. Add sweet potatoes, cardamoms, sugar and powdered almonds. 3. Cook over low heat till a creamy consistency is achieved. 4. Keep stirring to prevent it from sticking to the bottom. 5. In a separate pan, heat ghee and lightly fry the pistachios and cashew nuts. 6. Garnish the halwa with fried pistachios and cashewnuts. 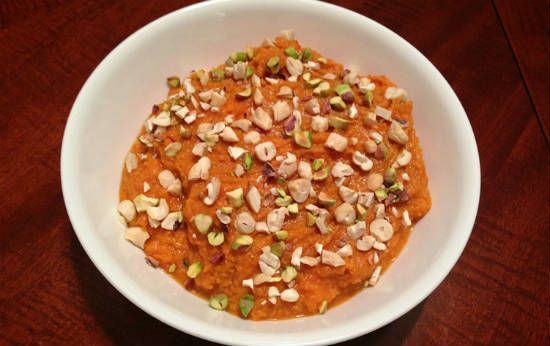 Feel free to comment or share your thoughts on this Sweet Potato Halwa Recipe from Awesome Cuisine.